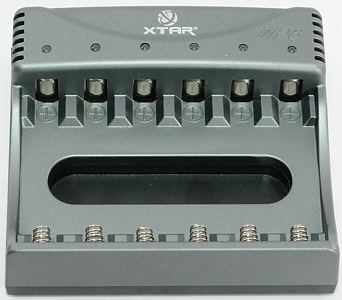 This charger was introduced in 2010 and announced as a CC/CV charger. It has 6 channels, i.e. it can do 6 cells independently of each other. 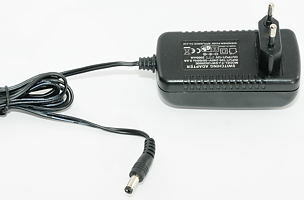 The charger is powered from a single 12 volt DC connector, this connector can be powered from either the supplied AC adapter or from a car adapter. The AC adapter I got is a universal voltage adapter (100 - 240 VAC 50/60 Hz) with a plug for European use. There is a led for each channel, this led will be red when the charger is charging and green when finished. The charger can handle 70 mm long batteries, but flat top cells and cells with a large plus pole will not connect (See my 18650 LiIon comparison for size of plus pole). The charger uses around 100mA charge current for batteries below 2.8 volt. 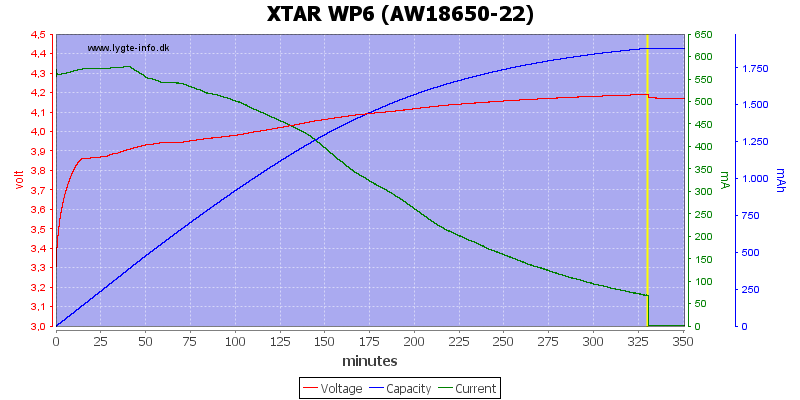 Between 2.8 volt and 4.2 volt the charger is applying regular charge current (See curve below). When the battery goes above 4.2 volt the current is turned off (below 4uA current). The charger will not restart charging before the battery has been removed or the voltage goes below 4.08 volt. When charger is disconnected from power, but with a battery in, it will draw below 1uA from the battery. More batteries will not change the charge current. Because each channel is independent, the different voltage varies between the channels. I measured the 4.2 volt to vary between 4.18 and 4.22 volt. The charge curve does not show a true CC/CV charger, but it never goes above the allowed voltage or current. Same battery, but on another channel. 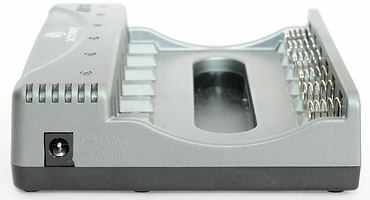 On this channel the constant current phase is longer and termination voltage is a bit higher. 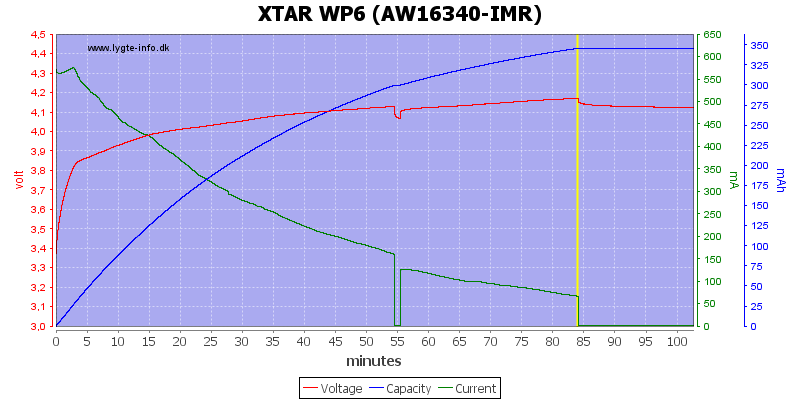 Another charge curve, this time with a old RCR123 IMR cell. The charger does falsely trigger a charge end, but when the battery voltage drops, it restarts the charge. The charger has a useable charge profile, but a true CC/CV profile would have charged the cell a bit faster. 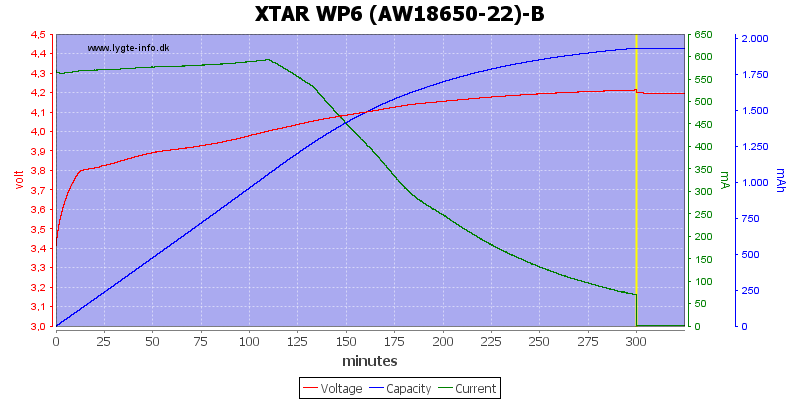 The support for long 18650 is good, but the missing support for flat top batteries does reduce the usability. 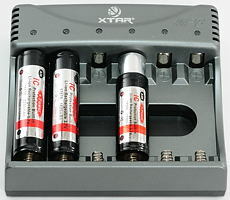 I do not like the high charge current with total empty batteries, but this will only be a problem with unprotected batteries.